Attentive Carpet Upholstery & Duct Cleaning provides the best in residential, commercial and industrial cleaning services. Attentive Carpet Upholstery & Duct Cleaning in Bolton, ON has over 25 years of experience in the carpet cleaning, upholstery cleaning and air duct cleaning business. We are well known as being one of the most reliable and professional cleaning companies in the area. We pride ourselves on 100% customer satisfaction. We strive for not only repeat customer business but also to grow our clientele base through customer referrals. Here at Attentive Carpet Upholstery & Duct Cleaning all of our cleaning solutions are non- toxic and biodegradable. We only use safe and organic cleaning formulas. You can trust that all of our products are child and pet friendly. Attentive Carpet Upholstery & Duct Cleaning will send thoroughly trained and dependable cleaning experts to your home or office. They will arrive at the appointed time, ready to begin work immediately. You will be treated with courtesy and respect by each of our cleaning experts. We have an extensive service area which includes Bolton, Caledon, Nobleton, Alliston, Beeton,, Orangeville, Palgrave, Shomberg, Vaughan, Georgetown, Tottenham and surrounding areas. Attentive Carpet Upholstery & Duct Cleaning continually upgrades our equipment to meet and exceed the industry standard. Our supplies are the finest in the industry. 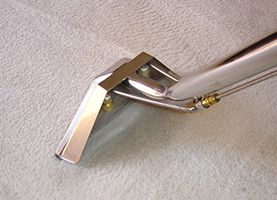 Attentive Carpet Upholstery & Duct Cleaning offers a wide variety of professional cleaning services. We specialize in many cleaning services. 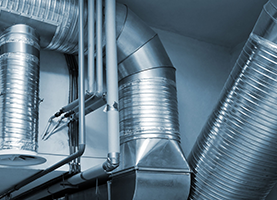 We provide air duct cleaning, which includes cleaning and air duct disinfecting. 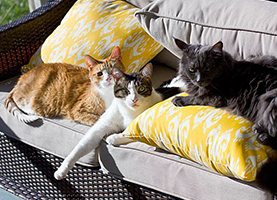 We also specialize in carpet cleaning, with special attention to deep cleaning to remove all pet odors. We also provide upholstery cleaning. We can clean all types of upholstery, whether it be fabric or leather. If you have the need for carpet cleaning, upholstery cleaning or air duct cleaning, call us at Attentive Carpet Upholstery & Duct Cleaning. With so many years of experience, we guarantee you will be happy.